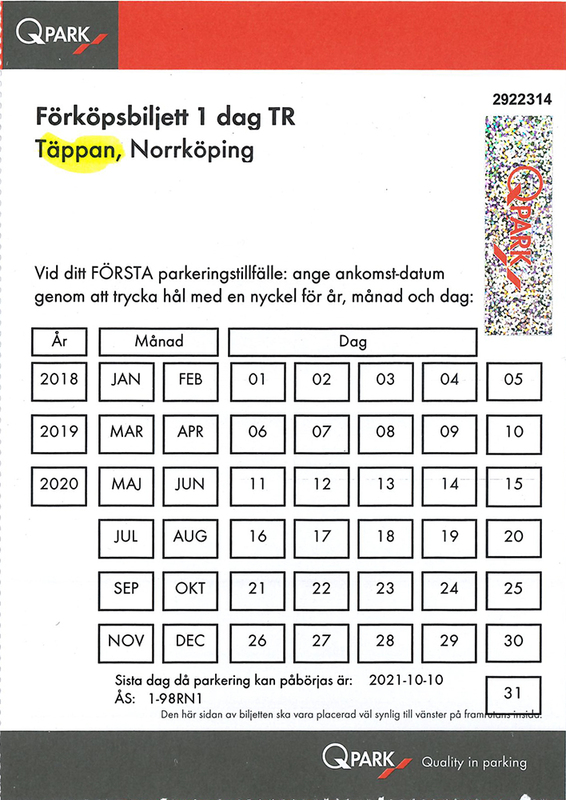 The parking tickets that can be used for service-related car journeys to Norrköping are only valid in the car park at Täppan, not in the Spetsen parking garage. If you park in the latter, you must buy a ticket from the machine. For the past few years, it has not been possible to park in the Spetsen garage using the parking tickets that are provided when you rent a LiU car. This is the parking garage reached from Skvallertorget in Norrköping. The tickets provided by LiU are only valid for parking in Täppan, as is stated on the ticket. You reach the Täppan car park from the rear of Täppan, and entry here requires a LiU Card with a PIN code.